I read an insightful article questioning why parents are letting their daughters dress in increasingly sexually provocative ways. Although not from a faith perspective, the author makes a great point that the laxity of parents may arise from a sense of guilt in having experimented in much the same ways. As well, there could be a desire to be cool or even to revisit those days by having beautiful-looking girls and boys. In many ways, it’s a subtle form of child sacrifice whereby the parent pursues his/her selfish desires at the expense of the child. The truly sad thing is that the Gospel could really free a parent from having the guilt of past failures. The Gospel tells us that we are not perfect, not even morally guiltless. We don’t have to be perfect parents to teach our children God’s ways because the Gospel gives us hope in spite of our failures. If you’re a parent remember that your job is to introduce your child to the grace that you yourself have received. Your job is to not make them more successful, or more popular, or more stress-free. Your job is to introduce them to their real and true Father. 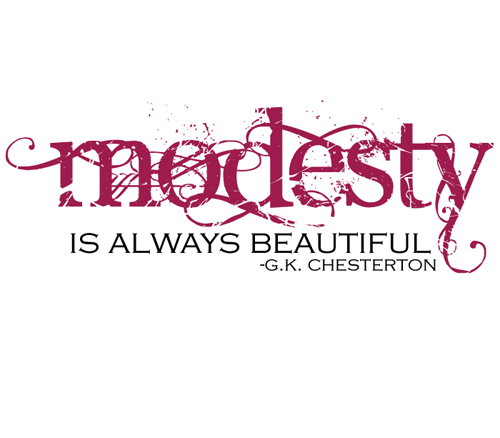 Practically, I’ve heard lots of parents complain about how hard it is to find modest clothes for their daughters. No doubt this is true, but isn’t the inconvenience and time spent worth it? Even if you have to pay a little more or spend more time shopping? For those parents of daughters that need some advice or guidelines for this, check out http://www.teen-beauty-tips.com/return-to-modesty.html. 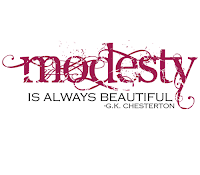 It’s a pretty good starting point for opening up the topic of modesty with your daughter.